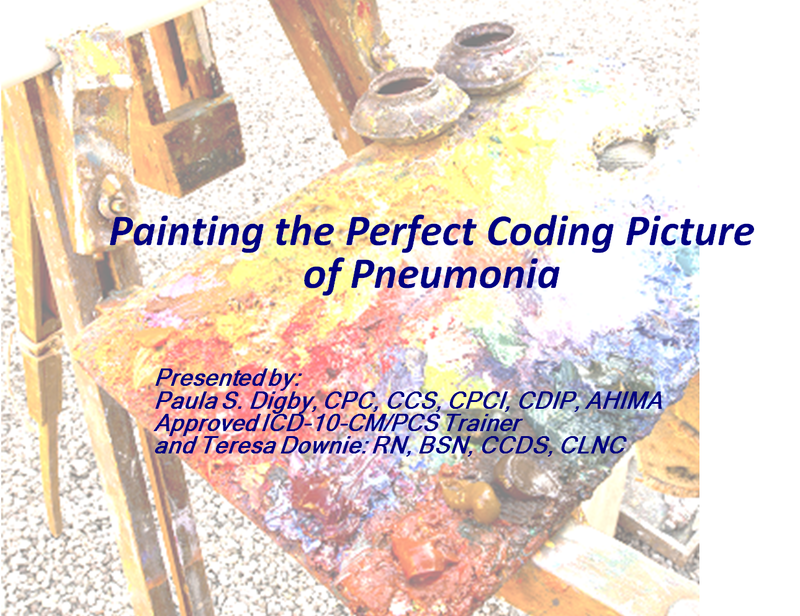 In this 90-minute session we examine diagnosis coding for pneumonia with Paula Digby and Teresa Downie. Ms Downie will examine the clinical picture of pneumonia and the various tools and techniques with which the provider diagnoses and treats this disease. Ms Digby will unveil the coding of these cases using ICD-10-CM. This course authored by Teresa Downie and Paula Digby. 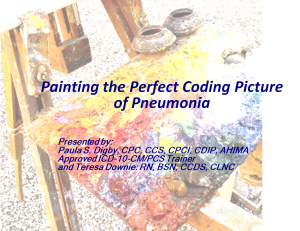 ICD-10 coding nuances for reporting pneumonia.